BEFORE: Wrapping up the week is the popular Eternal Sunshine of the Spotless Mind. This is the first film in the marathon to feature the main actors, Jim Carey and Kate Winslet, and most of the supporting cast including Elijah Wood and Mark Ruffalo. AFTER: Lately I’ve been talking a lot about film openings and ambiguity. Things can be done differently and still get good results (e.g. Warrior had a bad opening but still good overall; Margin Call straddled the ambiguity line and ultimately fell on the too ambiguous side). Eternal Sunshine of the Spotless Mind reminds me a lot of Christopher Nolan’s Memento. Both revolve around time and memories, including altered memories. Spotless Mind is very ambiguous and the opening is very confusing. But there was always something that had me intrigued as to where things were headed. Like Memento, you slowly understand what’s happening as the film progresses. For every question answered, ten more arise. I can’t pinpoint why exactly I enjoyed the mystery of Spotless Mind and didn’t like the aforementioned Margin Call as much. 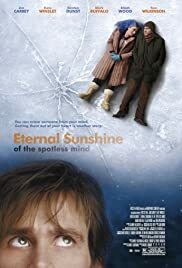 Even though I can’t come up with a definitive reason as to why, the fact of the matter is that I enjoyed Eternal Sunshine of the Spotless Mind. It can be a bit confusing but the story naturally pulls you along and explains things instead of leaving you lost and puzzled as to what is going on. And a shout out to Jim Carey who plays Joel Barish. I know him only from his comedies and I’m not a big fan, but I must give credit for a wonderful dramatic performance. I was expecting a fairly poor performance but was shocked by what was delivered. Job well done Jim Carey.